Serious Injury? See John's Top Tips! If you have suffered a serious, perhaps potentially life changing injury, then it is vital that you speak to a specialist injury claims solicitor. Approaching just any old solicitor simply won’t do. If you have suffered any injury, however it was caused, we are happy to have a free chat with you. If it seems possible that you might have a claim, we will meet you for free. Don't be shy, give us a call. Medical treatment doesn't always go to plan. Often there is no blame to be attached to medical staff or treatment, but if you have any doubts, read on. Solicitors don't always get things 100% right. To succeed in a claim for negligence against a Solicitor, you must show that they breached their professional duty of care and that their conduct fell below the standard of a reasonably competent Solicitor. If you had to describe Ibbotson Brady in three words they would be personal injury Leeds. Since 2001 our firm Ibbotson Brady has been helping countless people in and around Leeds and beyond to claim compensation for personal injuries they sustained through fault of someone else. Our whole approach is to provide a personal touch. That’s why, from the moment you contact us, you will be speaking to John or Rebecca, who will be with you from that point on right through until your compensation cheque arrives. See our pictures and profiles below. Because we take such good care of our clients, it’s no surprise that for every 10 clients we deal with, 7 of them will have come to us because we helped someone they know and recommended us. We are very experienced and have been working exclusively with personal injury law for over 40 years between us. Start with our free case review and if you prefer we’ll offer to come and visit you for free in the safety of your home to show you how it all works. 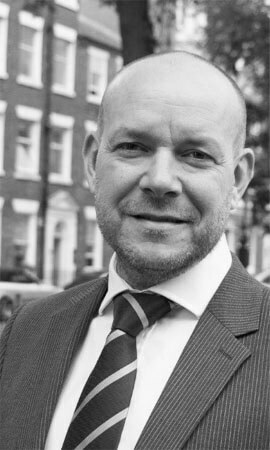 I'm John Ibbotson and I qualified as a solicitor in 1995. I founded Ibbotson Brady Solicitors in 2001. My fantastic colleague Rebecca Wood first joined us in 2003. My passion was to create a specialist personal injury compensation firm with an emphasis on giving all of our clients the personal touch, not creating a production line. We really care about our clients and over 70% of them are using us either because they already know us and like what they have seen, or because they have been personally recommended to us. Every client really matters to us. Give us a call. We are always happy to have a free chat. 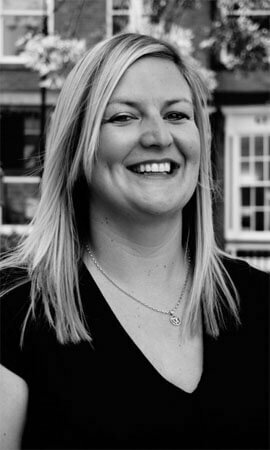 I first joined Ibbotson Brady Solicitors in 2003. I am a personal injury Solicitor. I have worked here in Leeds, dealing with personal injury and compensation claims ever since. I really enjoy my work, and, clichéd as it sounds, I like helping people. For me, the most important thing about being a Personal Injury Solicitor is good client care; establishing a good working relationship with your clients, building trust and making sure you go that extra mile to get the right result for your clients.